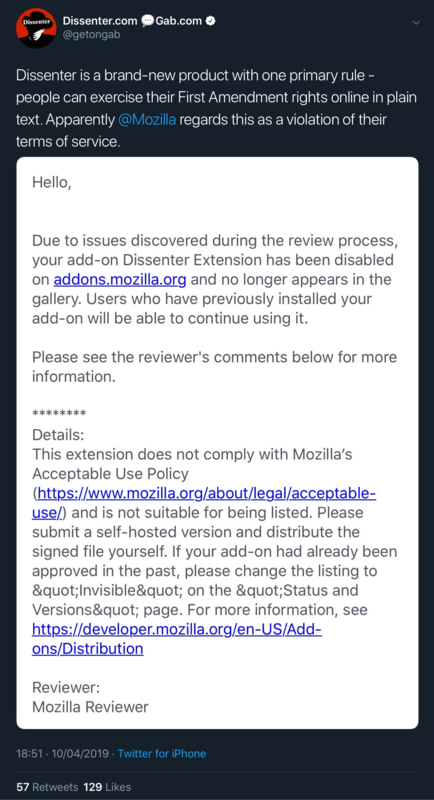 Update – April 11, 2019: The post has been updated to include Mozilla’s response explaining why Dissenter was removed from the Firefox extensions gallery. 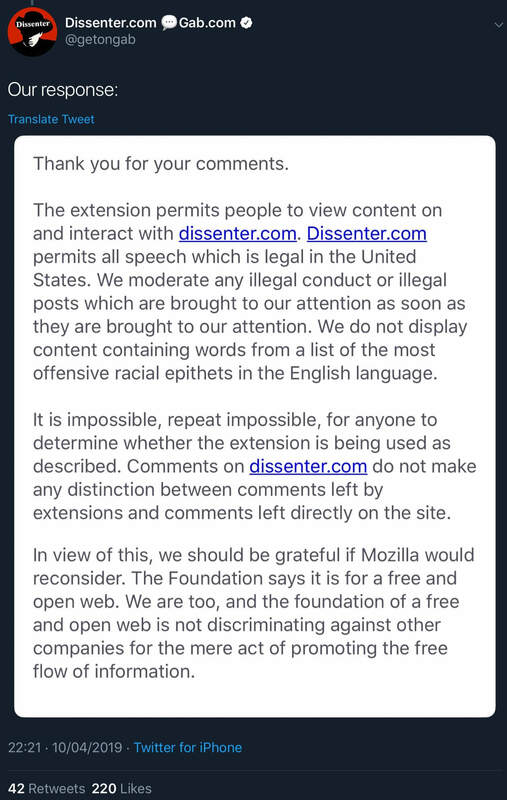 Dissenter replied to Mozilla and disputed its claims by saying that the extension permits people to view and interact with content on Dissenter.com, that illegal posts are moderated, and that offensive racial epithets in the English language are not displayed. 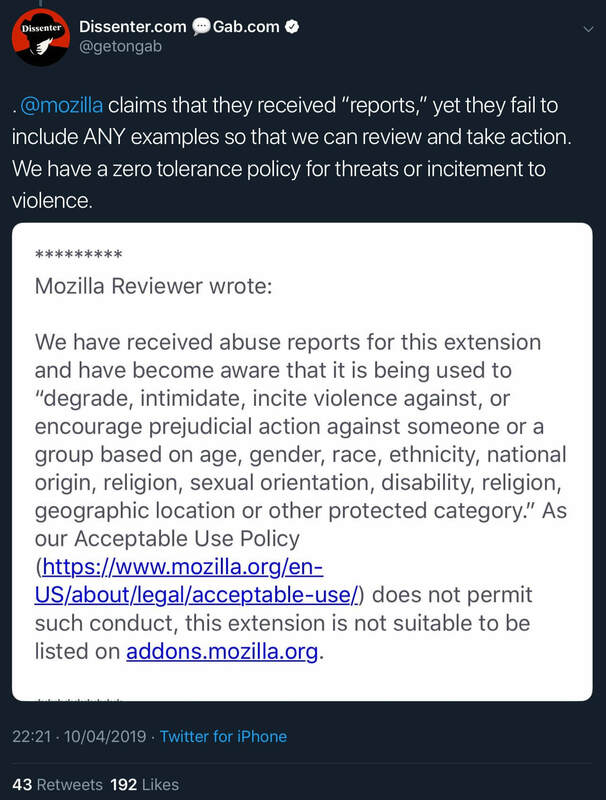 This means it’s impossible for the extension to be used as Mozilla described and Dissenter would like Mozilla to reconsider its decision. Dissenter also noted that the extension has a feature which filters out offensive racial epithets in the English language as a good faith effort to comply with extension stores’ policies on discrimination and hate speech. However, despite this good faith effort, Mozilla has banned Dissenter from its extensions gallery. Users that already have the Dissenter Firefox extension can still use it although Dissenter won’t be able to push any new updates to those users. For users that don’t currently have the Dissenter Firefox extension installed, it’s still possible to download it directly from the Dissenter website and install it manually. 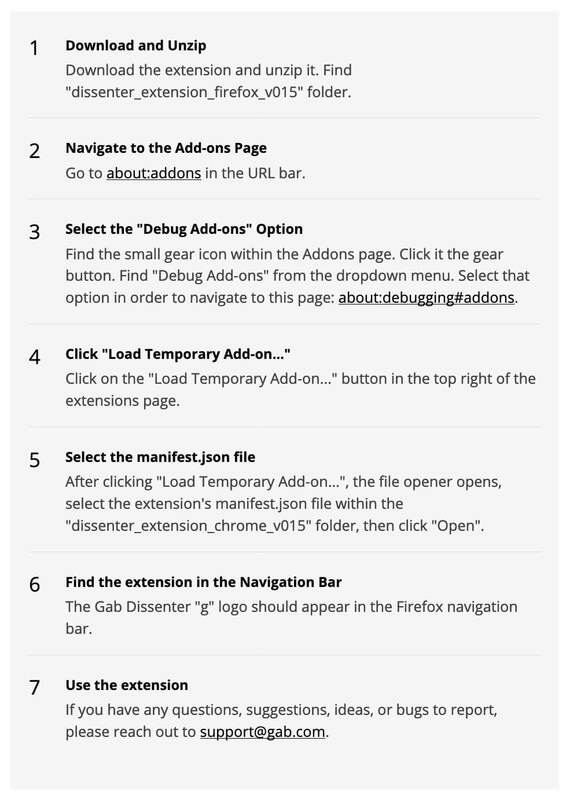 However, this manual download of Dissenter appears to be designed as a “Temporary Add-on” which means users have to reactivate this version of Dissenter every time they open Firefox. If you still want to use the Dissenter extension, the most practical solution is to install it on one of the other supported browsers (which you can see on Dissenter’s download page) and then start using that browser to comment via Dissenter.